Clicken Sie hier für die deutsche Version. I help you to feel confident about your English texts so that you can get on with doing your job! As a small business owner, maybe you realise the benefits of using English to communicate with potential customers, but you don’t have access to a translation or marketing department to help you with your materials. I understand these concerns. I communicate with customers in German all the time, but if I’m going to put out an advert in German, I get it checked by a native speaker first. I want my documents to be the best that they can be. I knew that there were people who feel the same about communicating with English-speaking customers, so I decided to create the English good to go sessions. You would like to make a version of your newsletter available in English. 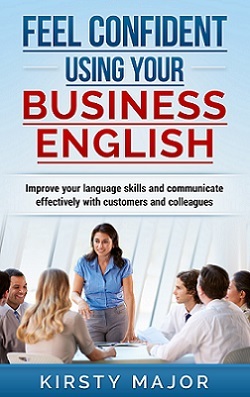 You can buy a series of 1, 3 or 5 30-minute sessions that we will use to work on your English communication materials. You choose how the time is spent. 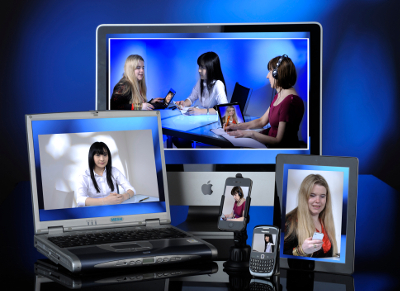 We can use it for an online meeting, in which we discuss ideas and work on documents together. Or, you can send me your drafts and I’ll work on them on my own. Alternatively, if you have a longer text, such as a book or the text for a website, please send me a sample of the text and let me know how long your text is. I will then make you an offer based on the length of time I expect it to take me. In these cases, I ask for half of the payment in advance, and the other half when you have received your text. How will I know how long a job will take? Before we start working together, there is a free online meeting to discuss your requirements and what can realistically be achieved in one session. For larger or ongoing jobs, you can send me information beforehand and I’ll tell you how long it will take before I start the job. Can I book meetings whenever I need one? So that I can give the best service to all my customers, I need meetings to be booked at least 24 hours in advance. Meetings can take place between 9:00 and 17:00 BST, which is 10:00 and 18:00 CET. If you book a meeting and can’t make it, I can work on other things for you on my own, but if this is not possible, the full price for that 30 minutes will be charged. Do you do translations as well? I can do translation, but if you are not comfortable about communicating in English, posting material in English may generate comments, questions or messages in English and you’ll need to have a system in place for responding to them in a timely manner. You could bring these things to a meeting the following day, but I don’t work on an ad hoc basis. Do you write articles or posts in English for other businesses? I can help you by proofreading your texts or making your ideas sound good in English, but the ideas and words need to be yours because you are the best person to know about your business, your audience and the style that you normally use for getting your messages across. Why don’t you charge by the number of characters or words? It’s easy to do this for translation work, but I don’t think that someone whose documents only need a few minor corrections should pay the same as someone whose documents need a lot more work. Therefore, when I’m proofreading, I think that charging for 30-minute blocks is fairer. Can I have a regular slot each week? Yes, if we find a mutually convenient time, you can purchase and book as many sessions as you want. Can you help me to improve my English? I can, but if this is what you’re looking for, my language and communications training, my writing course, my grammar course or my business English course would be better for you. These sessions are really aimed at people who have ideas about what they want to say in English, but who need some help with editing the texts and checking for mistakes, or for people who have a definite idea that they want to get across in English. If you’re not sure, send me a message and we can discuss which programme would best suit your needs. 5 x 30 minutes = £52.50 (you save £22.50). Paypal will calculate the conversion into British pounds for you using the current exchange rate and display how much this would equate to in your local currency. Payments are made in advance and you can then book your sessions or request document reviews as you need them. I’ll send you an invoice and you then transfer the payment in British pounds via Paypal. Paypal will calculate the conversion into British pounds for you automatically when you set the currency to British pounds.